Nobody enjoys getting the side-eye for committing a fashion faux pas. Getting away with black pants and brown shoes boils down to one word: contrast. Your shoes should be noticeably lighter than your black (or really dark) pants. While black shoes and pants are a must for formal attire (think black tie events and business formal suits), brown shoes with black pants are fair game. Here’s how to pull off black pants with brown shoes. 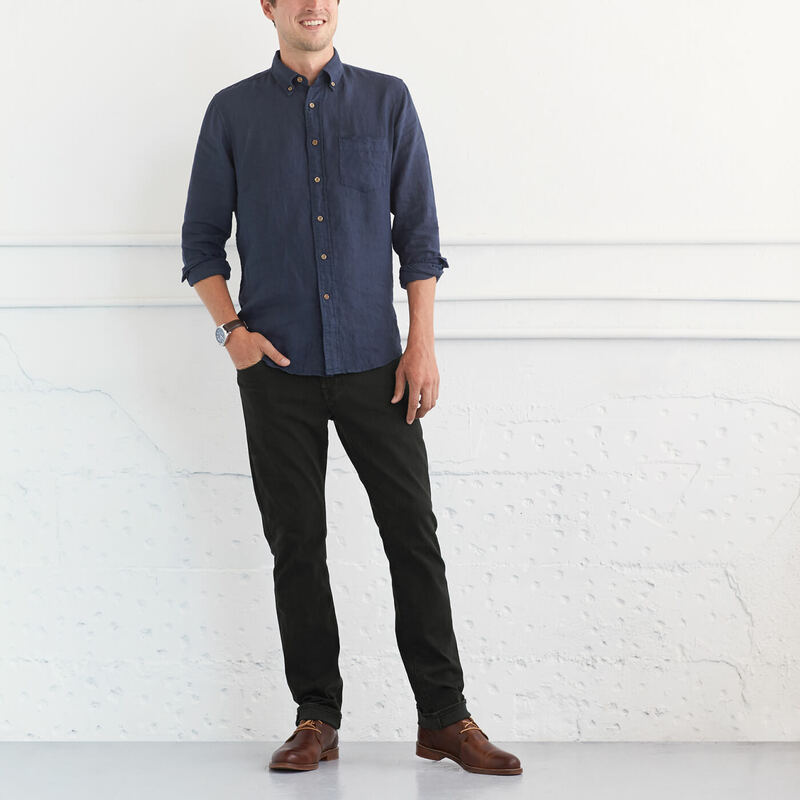 We’ll be upfront—the brown shoes and black pants rule works best for more casual wear. Think black jeans with brown chukka boots or stretch chinos with cognac loafers. A lighter shoe automatically gives a more casual vibe—so do keep your darker brown shoes reserved for your business casual wear. The first step in wearing black pants with brown shoes? Contrast. Wear a light brown, camel or cognac shoe to complement your black pants, all while maintaining a sharp contrast between your pants and shoes. Coordinate your shoes with a matching brown belt, or add in a lighter brown hue elsewhere in your look—like with the print in your shirt, your socks or even the buttons on your shirt. Need brown shoes and black pants? We’ve got them and more—schedule a Fix for clothes sent straight to your door.